Exposure: sets the image brightness. Contrast: Separates the dark and the light tones from the middle tones. Shadows: Adjusts dark image areas. Highlights: Adjusts light image areas. Whites: Adjusts the white clipping. Blacks: Adjusts the black clipping. Clarity: Sharpening and details in the mid-tones. Spring is just around the corner and it’s time for a good spring cleaning. Sometimes, actually often, Lightroom can become very messy. A good wash and cleanup can help a lot. 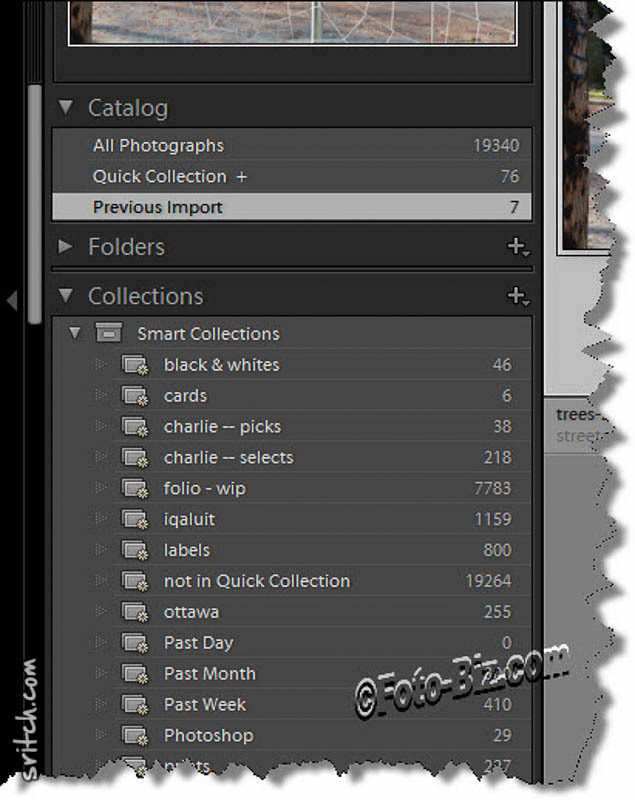 The larger the catalog, the messier Lightroom gets. Some people like shortcuts, some people prefer using menus and the mouse. For the people that like using the shortcuts, Lightroom is full of it. The last I checked, the Adobe techie where at 300+ shortcuts. Every shortcut can be executed via the menus or some context menu. Here are the shortcuts that I use on regular basis, pretty much every time I use Lightroom. Lightroom supports keywords and collections. What’s the difference? It’s a different way of looking at the world. The keywords exist both inside Lightroom and outside of Lightroom. When exporting photos to JPEG, TIFF, DNG… The image will still have the keywords attached. 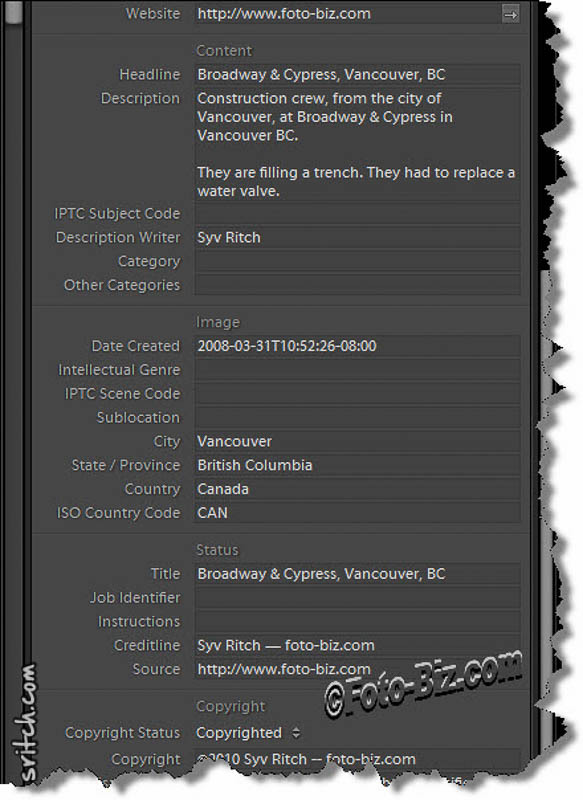 Almost all programs can read the keywords attached to a photo. Keywords are always inserted manually or during the import. What’s the difference between the headline, the title, or the caption and what about the description? One of the big strength of Lightroom is its flexibility. There’s always more than one way of doing things in Lightroom. This flexibility is also one of the source of frustration with many users. Lightroom’s flexibility allows for the almost infinite customization of your own workflow. Where is that photo on my computer? Right-click on the photo for the pop-up menu and select Go to Folder in Library. The folder will become selected in the Library module. Need 2 different crops for 2 different print sizes? Lightroom: Why Use Virtual Copies? Since 2012 with Lightroom 4, Adobe has changed how Lightroom treat flags, labels and ratings. Now virtual copies have become much more important.